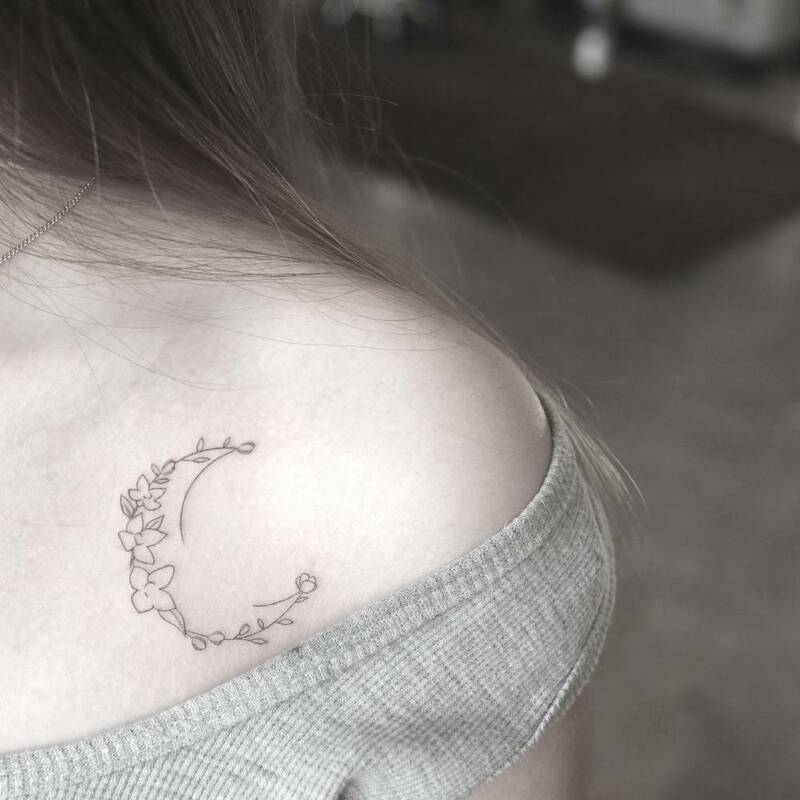 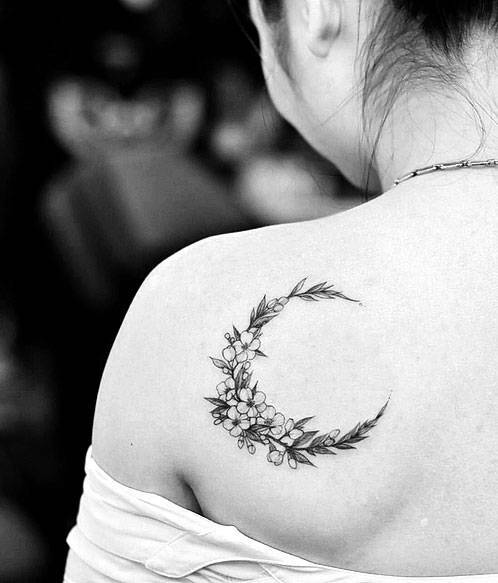 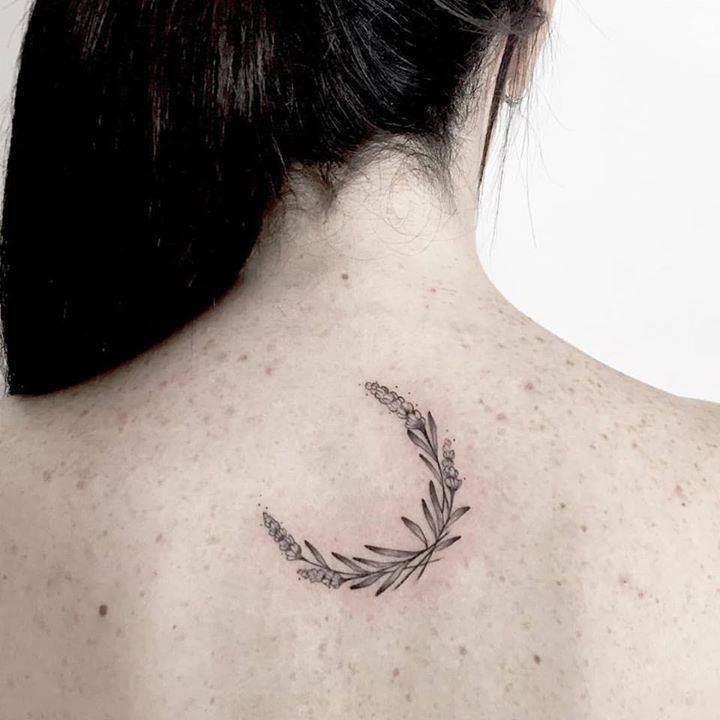 Full moons get all the attention in the night’s sky, but when it comes to tattoos, crescent moons are king. 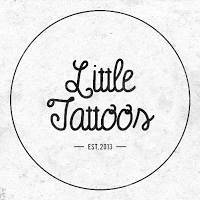 If you’re a frequent reader (yes we have a few!) 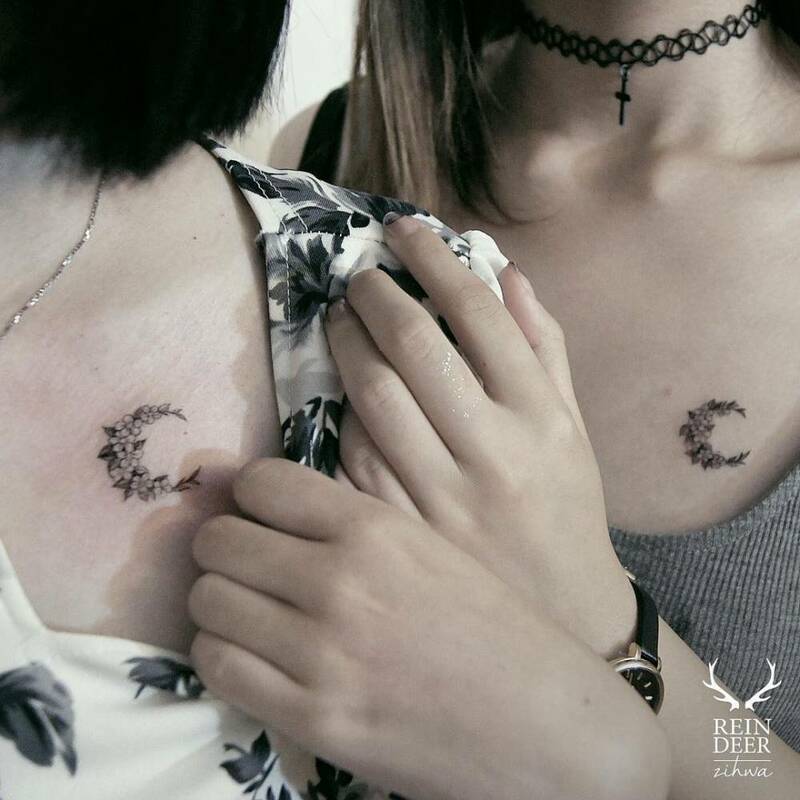 then you may remember we dedicated a complete article to magnificent moon tattoos a while back ago. 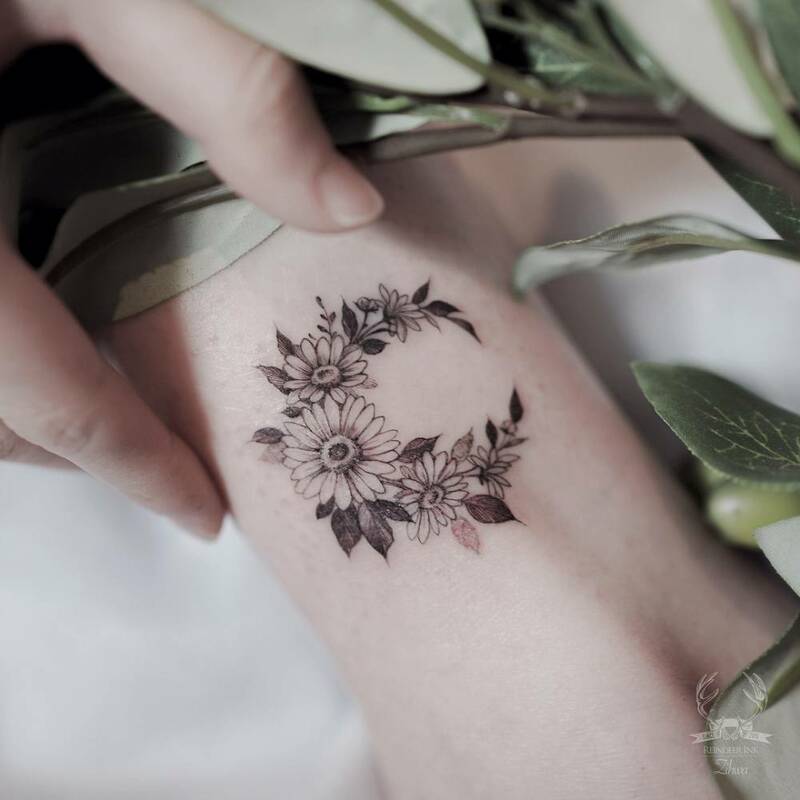 On the other hand, there’s no denying that mixing subject matters to create genuine designs is a very cool concept, and such designs have the ability to take your breath away in a way that few other tattoo designs can. 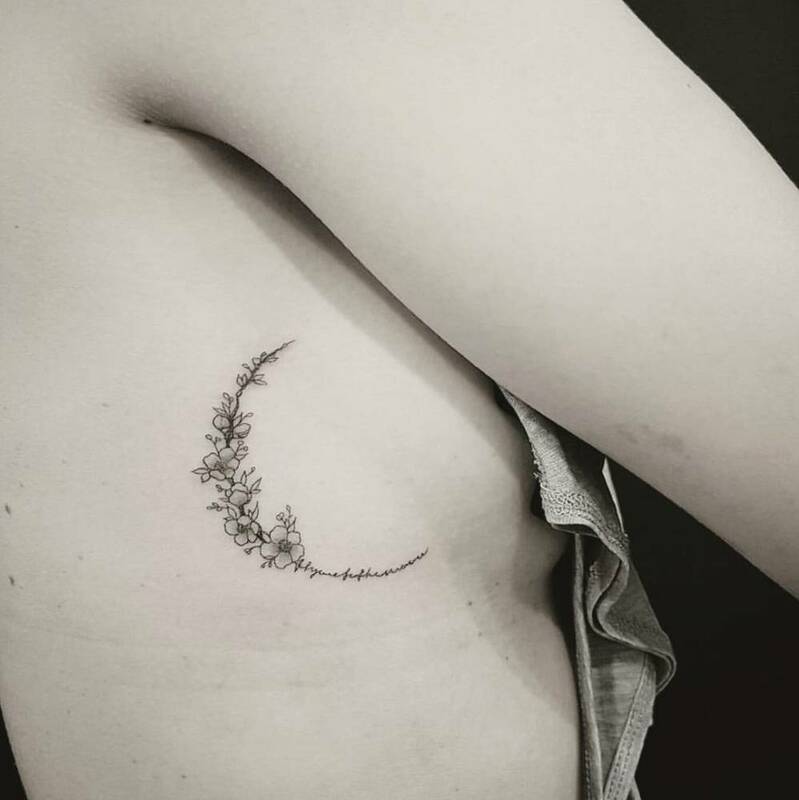 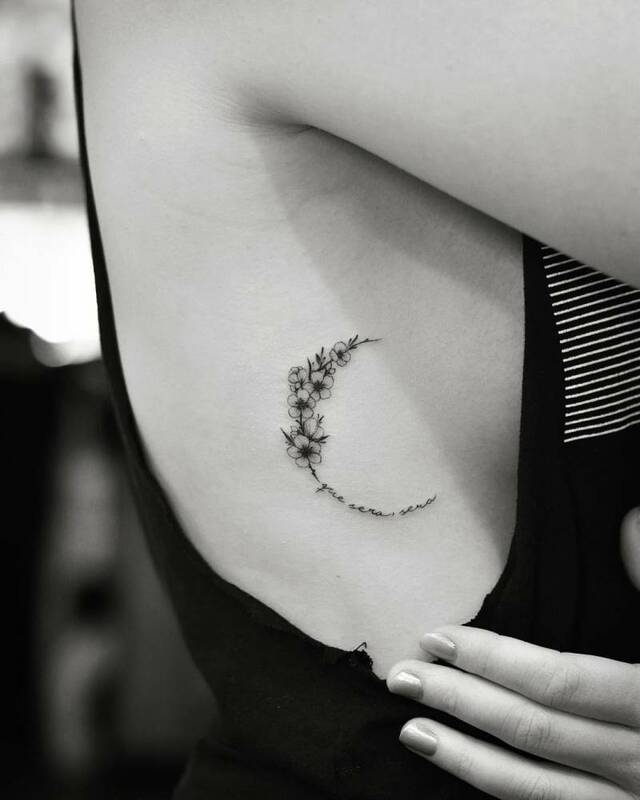 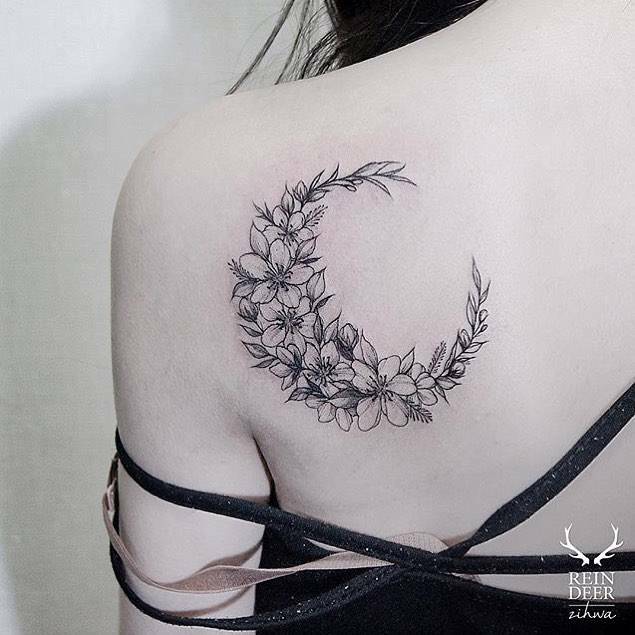 In case you didn’t know, many creative tattoo artists commonly incorporate flowers in various stages of bloom into crescent moons with envious results. 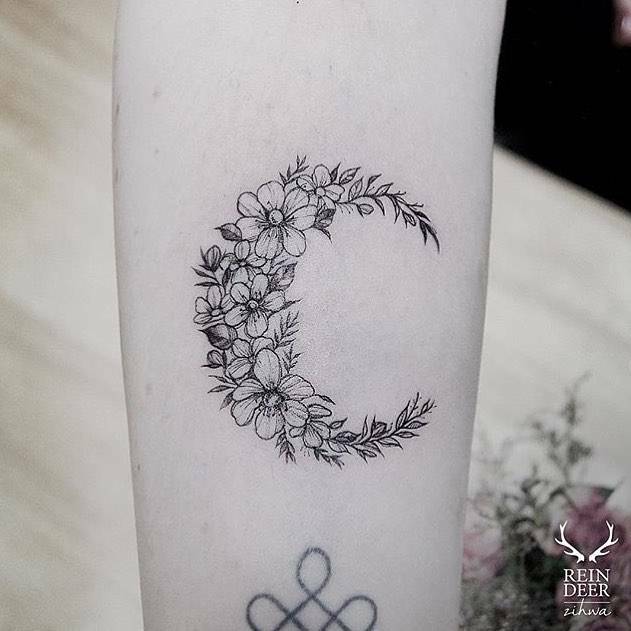 These designs are beautiful, and it’s a great way to make flowers, or a crescent moon, more interesting than either subject would be on its own. 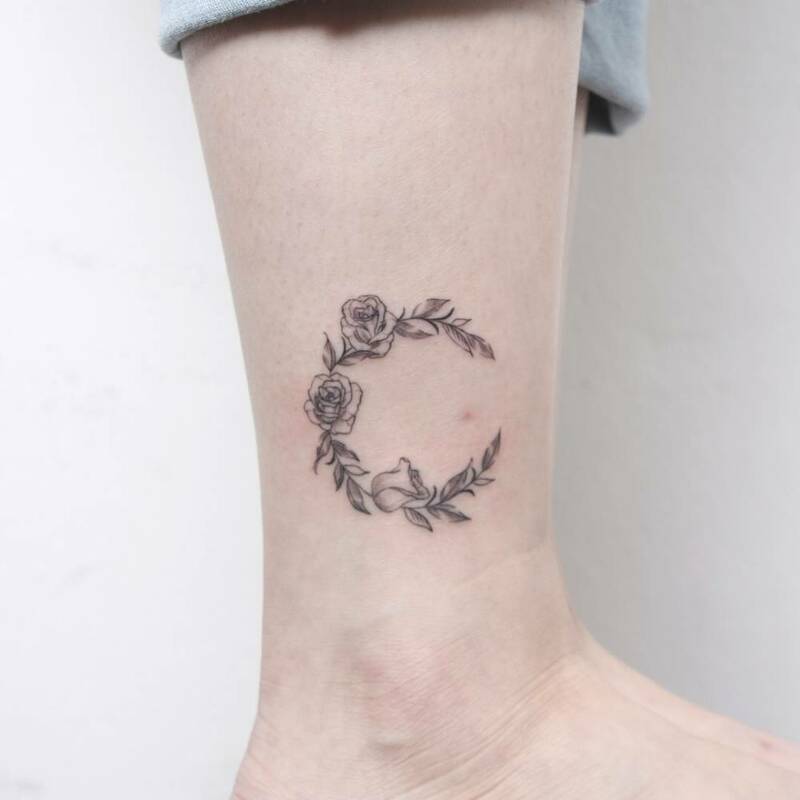 Flower crescents have been trending for the past few years in the universe of feminine tattoo designs, and it’s easy to see why. 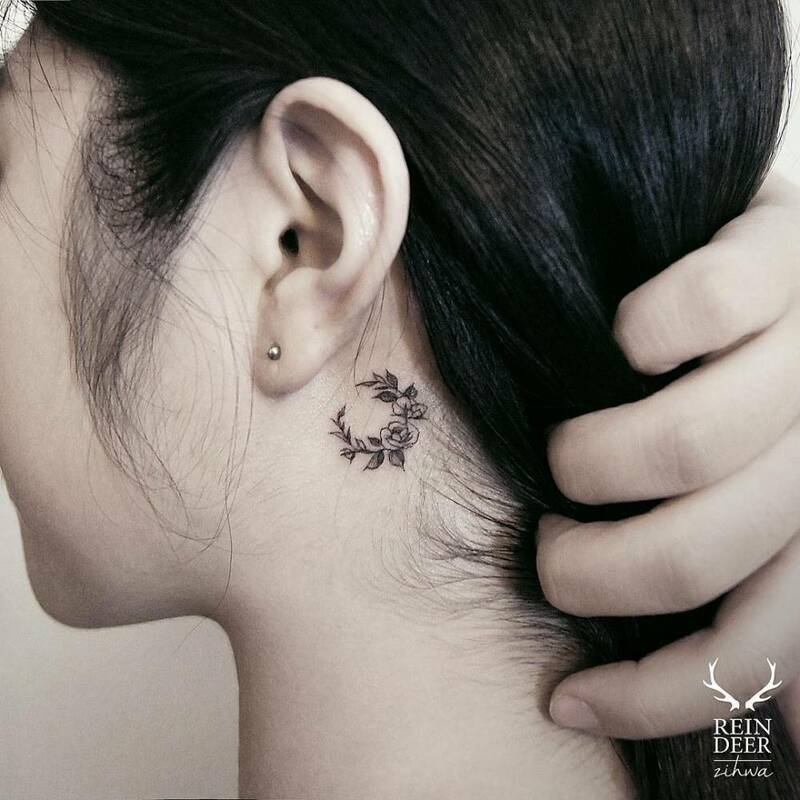 These flower-filled designs provide the perfect combination of class for any girly girl looking for an elegant design. 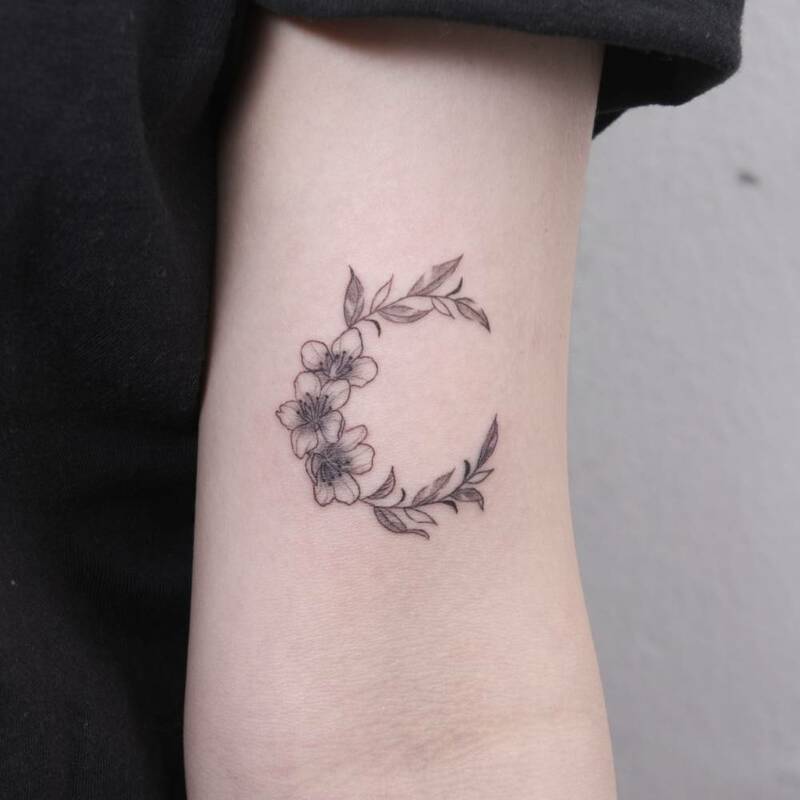 Connecting a crescent moon with a flower wreath it's definitely a design that will instantly grab your attention. 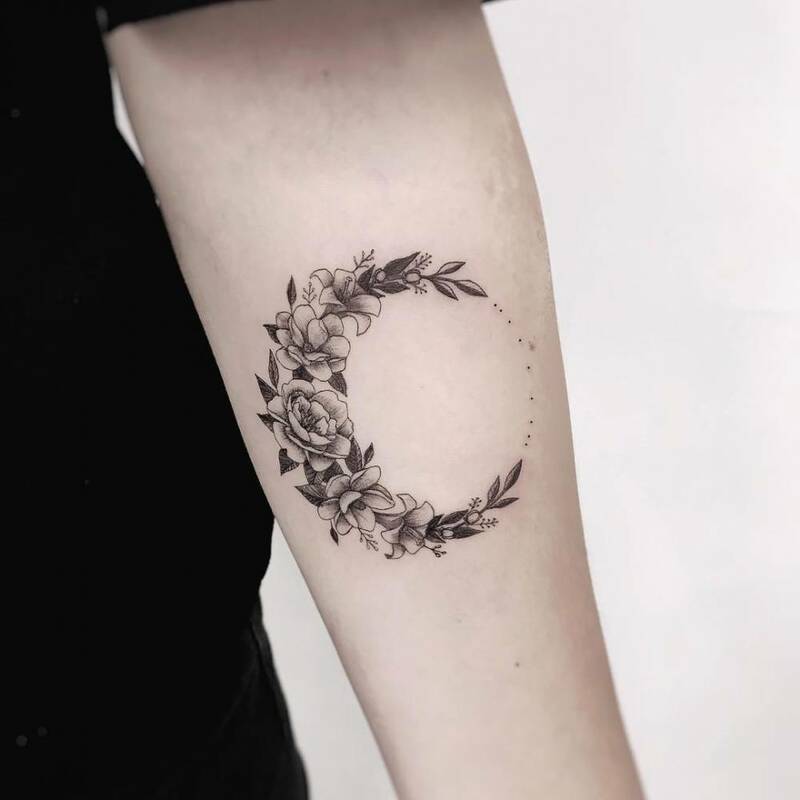 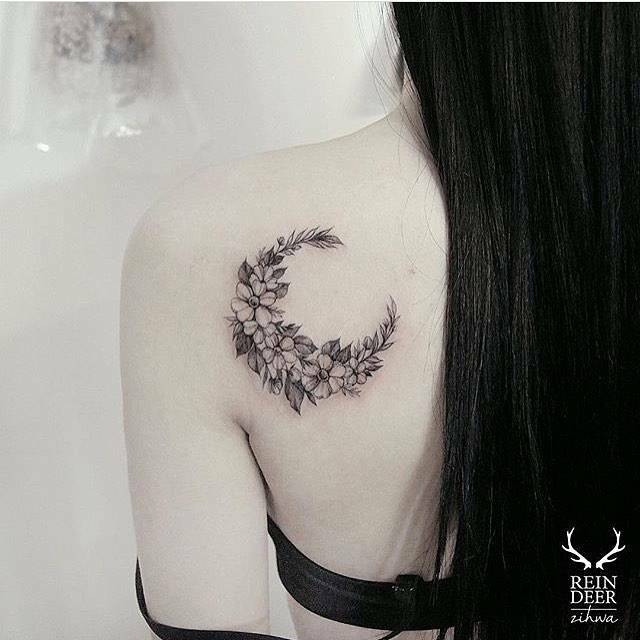 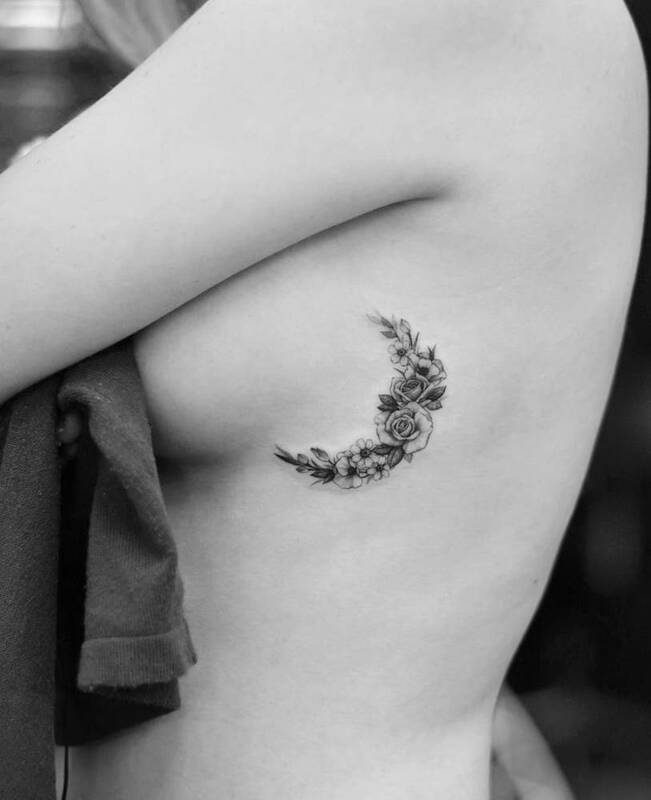 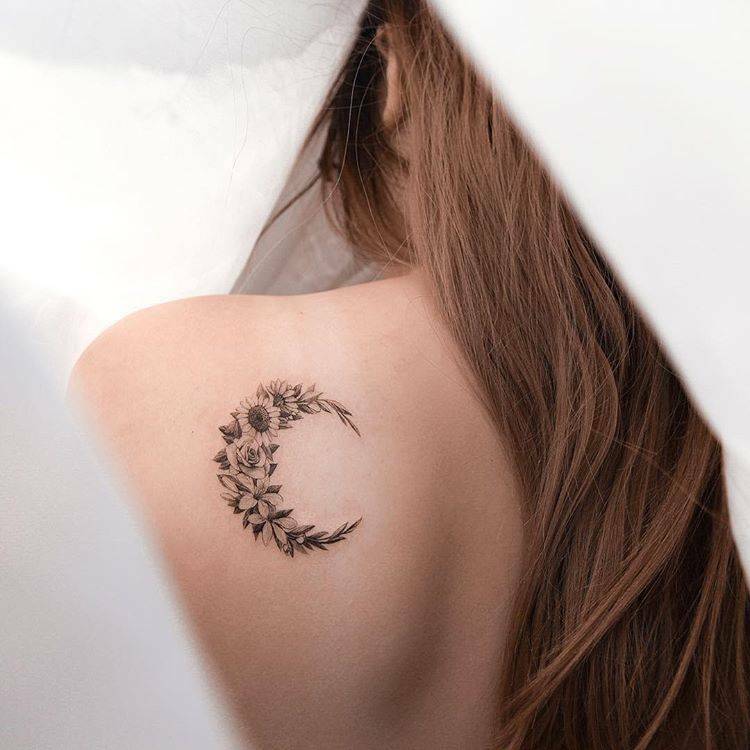 There are a few tattoo artists that love tattooing floral crescents, and by looking at the designs below, it’s easy to see why clients keep seeking this gorgeous tattoo idea. 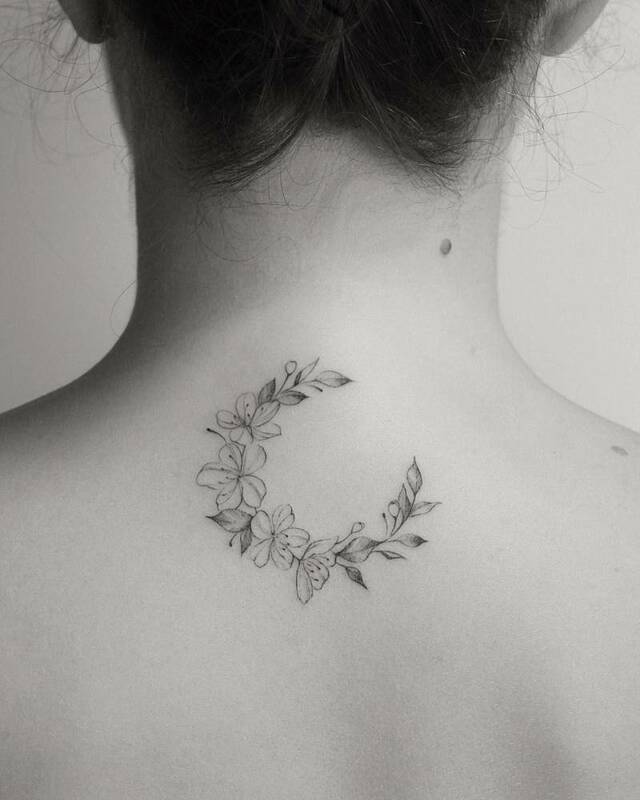 For more, visit the dynamic gallery.